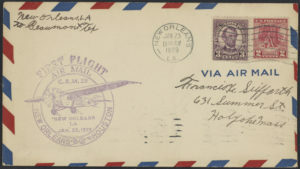 Title: Honoring the "First Flight" of Airmail Service between New Orleans and Houston, January 23, 1929. 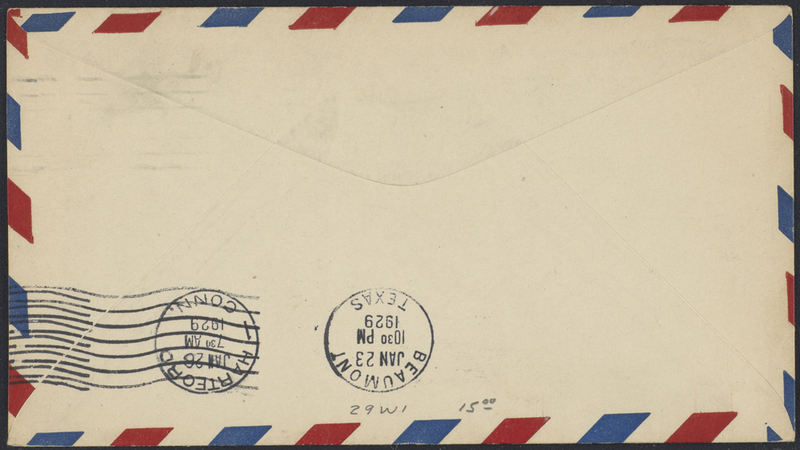 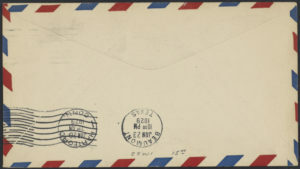 Description: Rear side of envelope. 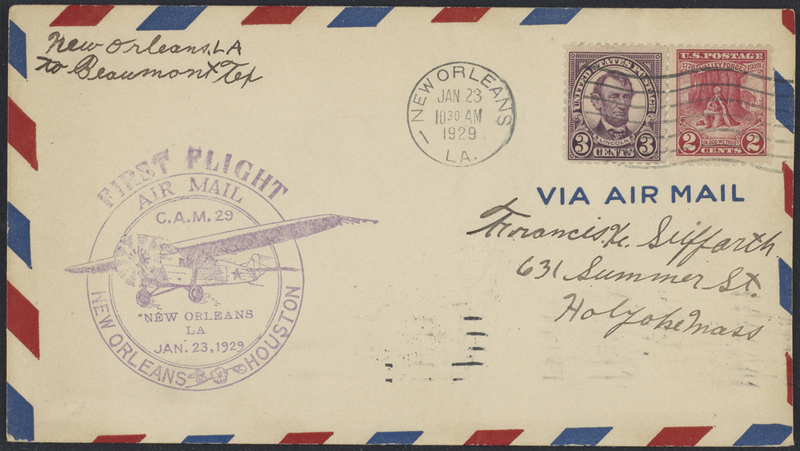 Honoring the “first flight” of airmail service between New Orleans and Houston, January 23, 1929.